Born and raised in Sydney, Matt completed his schooling and entered the workforce as a Structural Engineering Draftsman whilst undertaking an Associate Diploma of Applied Science (Building) at Sydney Technical College. In early 1992 Matt moved to Perth to pursue a career in the Real Estate Industry as drafting work was very quiet on the east coast as a result of the “recession we had to have”. In that time and with his past experience, Matt has been specialising in Residential and Commercial Sales, Development and Investment. He can also offer clients advice on alterations and additions and how they could affect the value of their property and has the ability to read and understand architectural plans and working drawings. Matt possesses an intimate working knowledge of all statutory regulations in the Real Estate Industry including the Strata Titles Act. 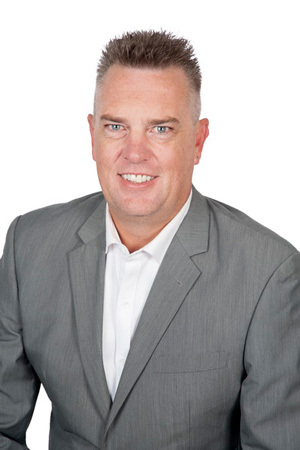 After a short break from the industry from 2008 until 2018 where he was the General Manager of a Commercial Construction company specialising in glass and aluminium installations and building facades including some of Perth’s most prominent buildings including The Perth Arena, Crown Casino, Fiona Stanley Hospital, Perth Children’s Hospital and several residential and commercial high rise inner city buildings. Since return to real estate, Matt has taken on board the latest computer technologies to assist his clients and provide the latest sales data and property information technologies. Matt is a very capable professional who has a self driven desire to succeed, and at all times work in the best interests of his clients and with over 16 years local knowledge you can be assured that he will strive to achieve the very best possible result for you.